By Distinctive Styling on March 27, 2019. Posted in Blog. Our recent home staging is yet another example of how vacant staging sells homes fast and for the most money possible. 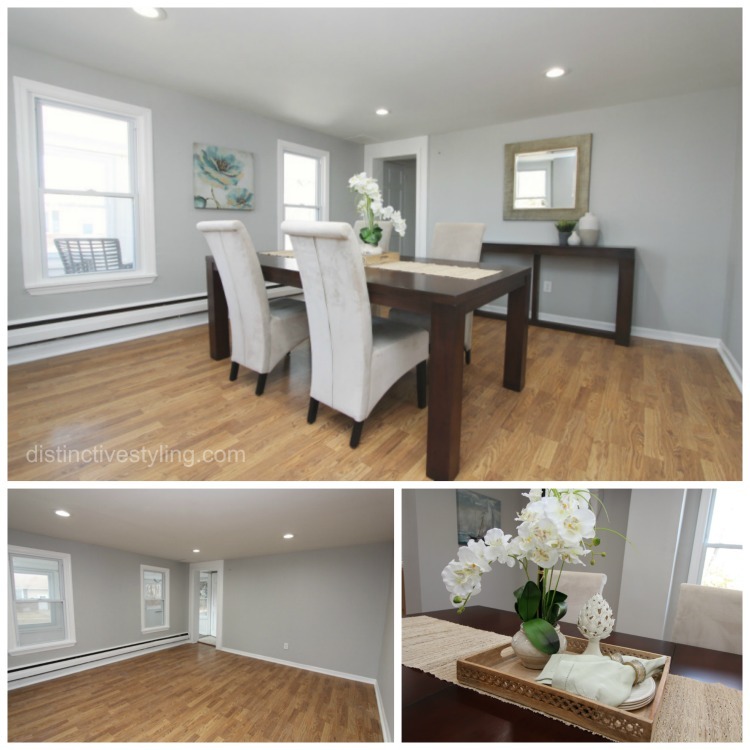 We staged a renovated old farmhouse type home in Cliffwood, NJ for a real estate investor who was frustrated that the house wasn’t selling for over a year. Without furniture and accessories, buyers could not determine how the rooms would be used and if the house would fit their lifestyle. The owner received a full price offer in just 2 days after staging the home! Even though the house had a new remodeled kitchen, updated flooring, and was freshly painted in a neutral gray color, the house sat on the market for 13 months with empty, undefined rooms and lacked appeal. We brought in rental furniture and decor suitable for the type of property. Once staged, buyers knew it feels like home and they made the purchase. The house sold so quick there was no time or need to get new professional photos for the listing. We love hearing successful sale stories from our clients. Don’t sell your house empty as it may take much longer and you may risk price reductions. Staging sells vacant homes! Contact Distinctive Styling today for more information.